Millsapps, Ballinger, & Associates (MB&A), a verified Service-Disabled Veteran-Owned Small Business (SDVOSB), announced today that the company has contracted with Loudoun County Public Schools (LCPS) to provide a physical security assessment to LCPS schools. That assessmen t tool, the Extensible Assessment Management (ExAM), is an affordable, flexible and robust tool that sits atop the force.com platform. ExAM (ExAM4schools.com) provides a robust assessment tool that is meeting the requirements put forth by the Virginia Governor’s Task Force on School Safety, LCPS, and incorporates sound Crime Prevention Through Environmental Design (CPTED) principles. Offering approximately 290 questions in 26 categories, ExAM is already utilized by the Department of Interior, Bureau of Indian Education. ExAM seeks to improve all aspects of physical security by providing process improvement, business analytics, communication, collaboration, in an easy-to-use interface. The force.com platform has over 104,000 existing customers including 1,700 educational institutions. Force.com handles over 400 million transactions per day and includes over 185,000 custom applications. This low cost, low risk platform is the perfect platform for ExAM, brining affordable and reliable solutions to Loudoun County Public Schools. Loudoun County Public Schools provide a “Climate For Success” in a rapidly growing county. 86 schools from LCPS earned the Governor’s Award for Educational Excellence. During the past five years, the average LCPS SAT score has risen 15 points. During the same time period the average Virginia score has dropped two points and the average national score nine points. 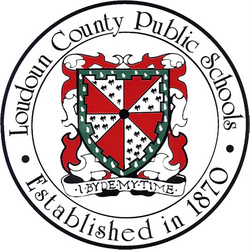 LCPS is the fifth largest school district in Virginia and has the fastest growing student population in the state. MB&A is a full life cycle management consulting company committed to solving the biggest problems facing some of the world’s largest, most complex and challenging organizations. Our company believes that technology can be a force multiplier for positive change and that being able to consistently get the right information in the right hands in order to make the right decision is what makes an organization most effective. To learn more about MB&A services and solutions please visit: www.mbaoutcome.com and www.ExAM4schools.com.